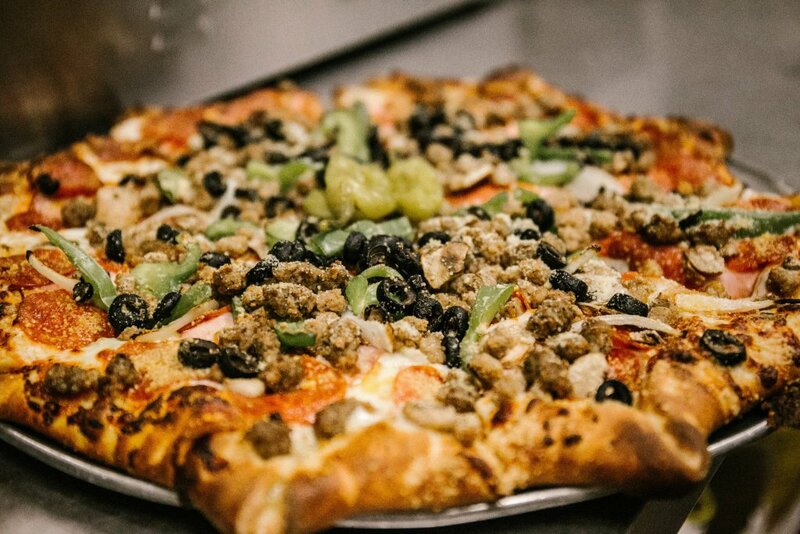 Even though West Texas may be known for it’s savory southern cooking, Lubbock is home to some of the best pizza pies in the state! Whether you’re into Chicago-style deep dish or New York-inspired crispy crust, the “Hub City” has something to satisfy your craving for the perfect slice. With the No. 1 pizza in Texas according to Food Network, West Crust Pizza is something both visitors and locals can get excited about. 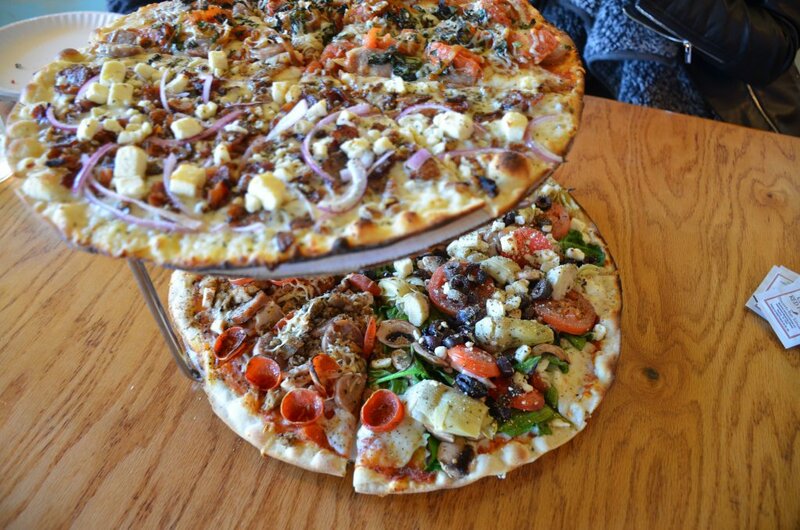 While West Crust offers a create-your-own pizza option, their true specialty is making artisan pizzas. During our visit we sampled a little bit of everything, even ordering up a half “The Beast” topped with pepperoni, philly steak, grilled chicken, Italian sausage – the dream of any traditional meat lover’s fan. Other favorites include the “Hill Country,” a pizza pie with a little Texan flair, garnished with applewood bacon, glazed pecans, red onions and feta. (Pro Trip: Try it with jalapenos). And we’ve already added the “Mac-Lovin’” to our must-try list. Bacon, mac-n-cheese ON a pizza?! Sold. View West Crust’s full (and continually growing) menu, here. Bonus: all the pizzas are available with gluten-free crust at no extra charge. Should you find yourself craving a slice or two, step out of your pepperoni-lined comfort zone and try something with a little artisan flair! You won’t regret it! Hours: Monday – Thursday, 11 a.m. – 9 p.m., Friday & Saturday, 11 a.m. – 10 p.m., Sunday, 11 a.m. – 7 p.m. The New York-style pizza makes the food at Giorgio’s Pizza so unique, not to mention the pizza of the month and the “Texas size pizza,” the largest pizza in Lubbock, which measures 28 inches. The restaurant uses a brick oven to bake the pizza and calzones after making all of the dough fresh from scratch every day. This has been the daily procedure for Giorgio’s Pizza employees for the last 23 years. The effort and style are definitely noticed, as the classics, pizza and calzones, are hard to beat. Perfect crust all the way through, with delicious cheeses and plenty of savory toppings. Also, don’t let the long lines scare you away. 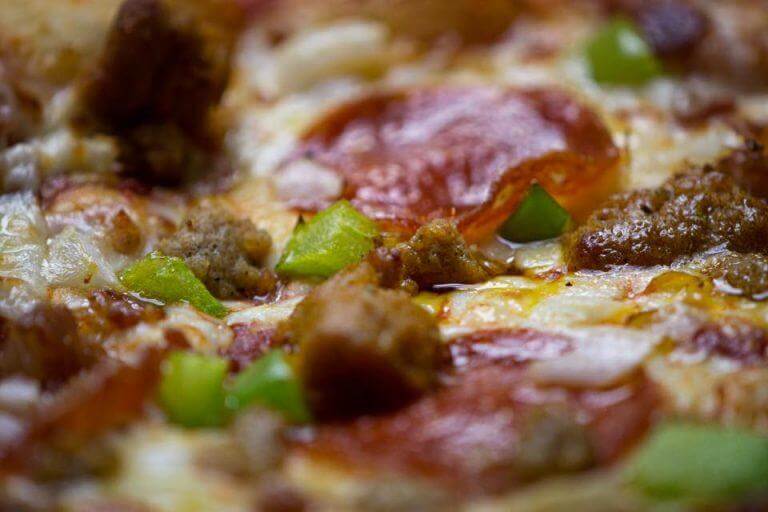 Giorgio’s Pizza will get your food to you with plenty of time to eat and get back to work. Trust us, it will be well worth it. Hours of Operation: Monday – Friday from 9 a.m. – 6 p.m.
With a combination of gourmet pizzas, sandwiches, salads and over a hundred craft beers, this is uniquely Lubbock pizza experience. Nestled in between local shops and in the heart of Tech Terrace neighborhood, Capital Pizza opened its doors January 2013. Hoping to bring warmth and camaraderie within the neighborhood, Capital has become the local pub for many–never failing to dish out hot, unique satisfying pies and sandwiches. With interesting ingredient combinations such as the Thai Curry Chicken Basil, you’ll be glad you tried Capital Pizza. 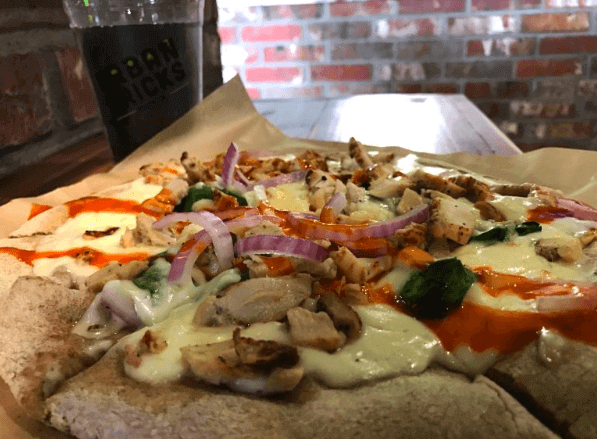 Urban Bricks Pizza brings an authentic Neapolitan pizza at a reasonable price to the customers’ table. We live in a world full of options, we want choices, we want things fast, and Urban Bricks wants their customers to have it, too. They embrace the pizza-eating culture by providing a customized experience for every taste without compromising quality for speed. With a drive-thru, you can satisfy your hunger without having to leave the comfort of your car. Build your own personal pizza from a selection of three crusts, four sauces, six cheeses, more than 30 toppings and 12 drizzles. There are infinite combinations of delicious pizza, including gluten-free and vegan options, but if that much choice stresses you out try one of their “Foundation Pizzas,” including Margherita and Urban Classic Pepperoni. They also deliver so what are you waiting for? Completely locally owned and operated, Pepe’s Pizza and Ice Cream has options to please every taste. Serving up classic favorites and calzones, Pepe’s has that authentic Italian taste. From a BLT pizza drizzled in ranch or the Chili Pie Pie featuring a crunchy Frito topping, Pepe’s has something for everyone. Want something spicy to pair with your slice of Hawaiian pizza? Try a side of Buffalo or Sriracha Bourbon wings. Don’t forget to save room for dessert! Pepe’s one of a kind ice cream mixed on a granite slab will satisfy your sweet tooth! 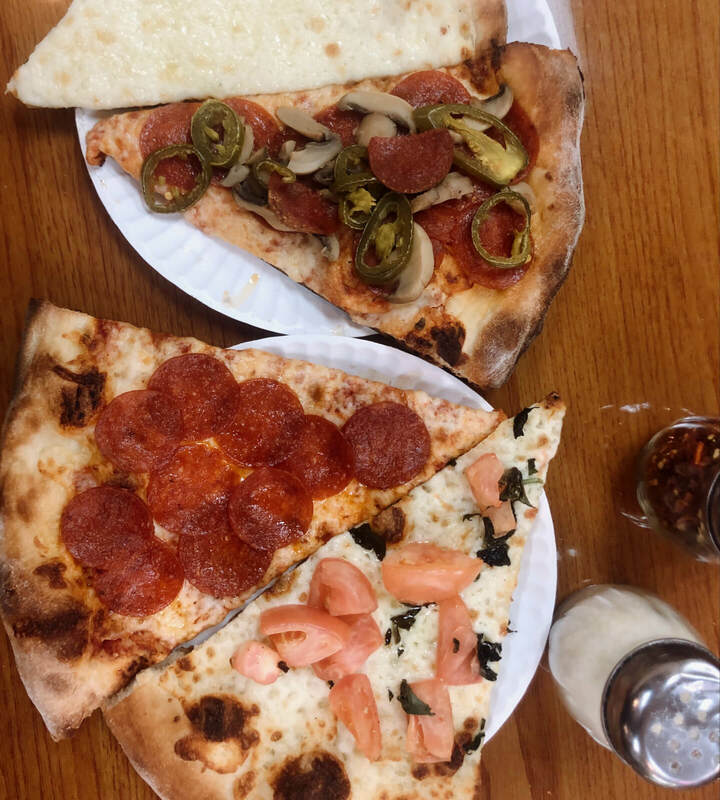 With reasonable prices, filling delivery service and a plethora of pizzas, Pepe’s Pizza and Ice Cream will quickly become one of your new favorite spots. Voted best pizza in KCBD’s Best of the West 2019, Guy is a taste of true Italian tradition. You can walk into One Guy and order yourself a slice of any pizza. 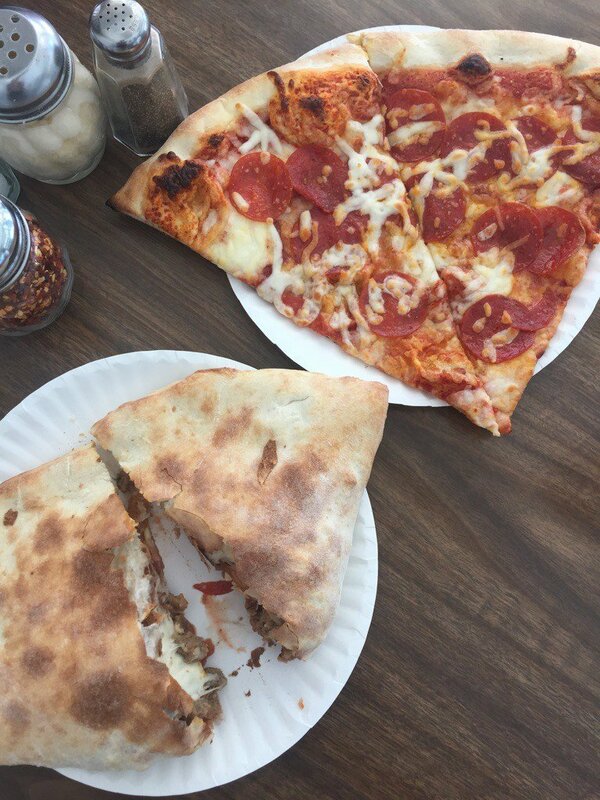 This Texas Tech student staple keeps their customers happy with their amazing lunch specials, which include a calzone or two slices of pizza and a drink for under ten bucks. They also have rich pasta dishes and cheesy garlic bread you are sure to fall in love with. On the plus side, if you’re having a craving they deliver from their two locations. Fast Facts: 1101 University Ave. & 4320 50th St.
Where do you go to satisfy your pizza cravings in the “Hub City?” Let us know using #LiveLoveLubbock, and happy dining!